Customized to meet your specific needs. 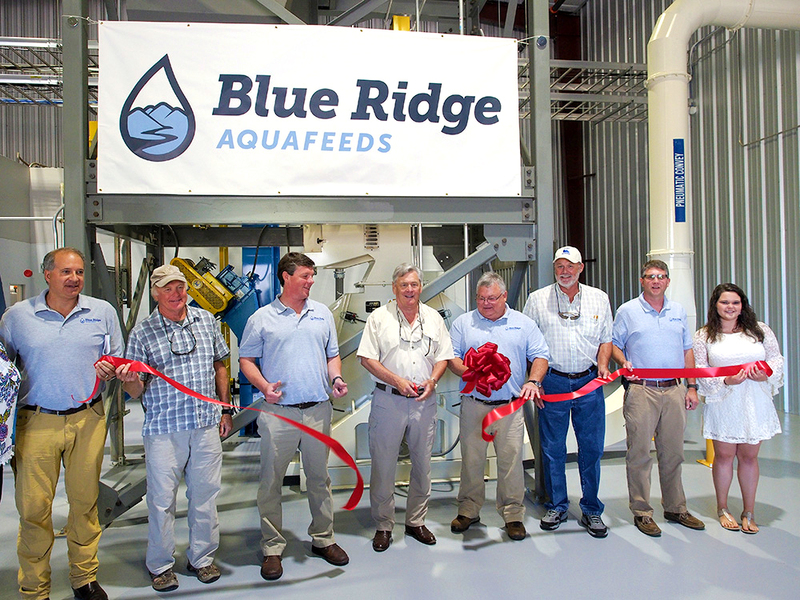 Blue Ridge Aquafeeds is an innovative feed mill that supplies its parent company's (Blue Ridge Aquaculture) internal feed demand for tilapia production, and is scaled to support the company's future growth plans. It incorporates innovations in the areas of facility design, system integration, product traceability, and local ingredient supply. This is the first time that feed milling has been integrated into a successful recirculating aquaculture operation, and marks a milestone in the development of indoor aquaculture. By controlling its own feed supply through Blue Ridge Aquafeeds, Blue Ridge Aquaculture can advance Recirculating Aquaculture Systems (RAS) to their full potential. With singleness of purpose, the farm can collaborate directly with the feed mill, and develop diets that best meet the nutritional requirements of fish in these systems.